This level have normal difficulty and you can easily take down all ingredients within 35 by playing slowly with normal candies with balancing the Odus owl. You should try to play more from bottom of the board and as Odus owl disappear after moon struck use special moves to take down ingredient fast without loosing life. 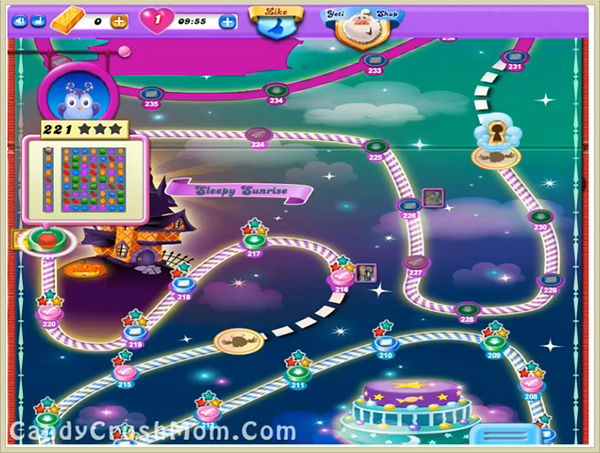 We completed this level with 10840 score by playing with normal candies plus few special candies that help to reach this level requirement with three star score.